“Floating” on the pillar of the New Bridge (Nový most), this restaurant offers a pretty unconventional experience, from where you can enjoy a unique panoramic view of Bratislava and its surroundings from above. The restaurant interior is elegantly furnished and the menu contains a wide variety of different international dishes. The restaurant has a total of 140 seats and reservations are possible. 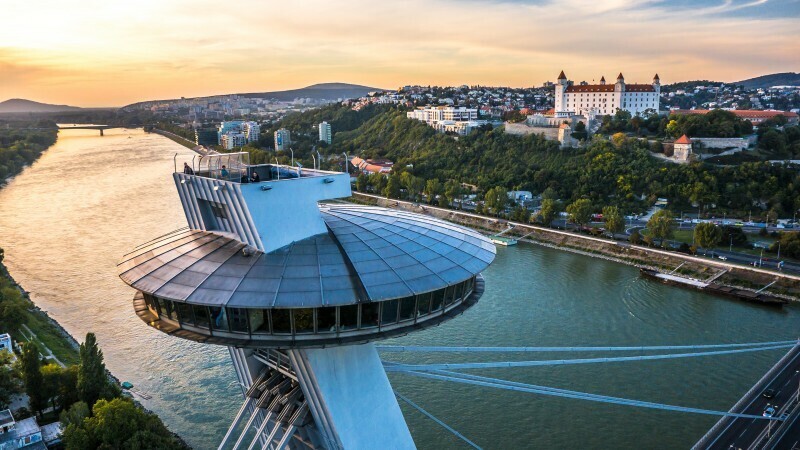 Offering an impressive view, this restaurant is a landmark of Bratislava and represents Slovakia in the World Federation of Great Towers.